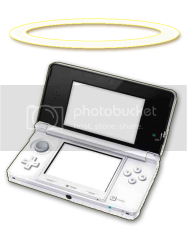 3DSBlessed aims to provide you with all the latest news and game reviews relating to the Nintendo 3DS. We also provide an extensive directory of UK gaming events (some of which we attend and cover). 3DSBlessed was dreamt up by Helen Doherty (HelenBaby) in 2010. The domain was registered in October 2012, and finally launched on 9/3/13. This site is kindly hosted by Michael Cunliffe (also known as Torch on the popular FindTheComputerRoom site) and runs via WordPress.